Nope, can't come up with the word, sorry. Found by Mr. Zarquon on Magnolia Voice. And I guess that's why they call it the doldrums! I feel obligated to quote Eiffel 65. Now we finally know who this song was about. Wow, this is just a few blocks from my house. With that color scheme and the rain, it's like living in an aquarium.... full of candy fish. Makes me feel like I'm living in a fish bowl or an underwater world. This is freakily like the house at the end of 2001 A Space Oddysey. 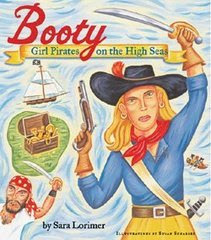 At least, it's what I remember it to be like - I was slightly delerious after sitting the entire way through that movie. but what is the shadow on the wall? the reflection of a prehistoric monster? That's the really scary part. Is that a weird angle, a huge door, or a small everything-else? Damn you voice in my head! 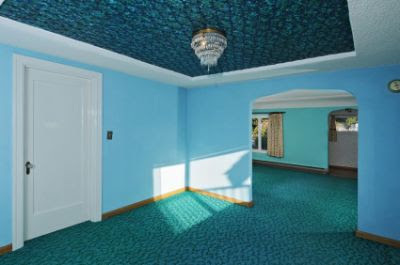 What is worse: The blue rooms, the wood paneling, the shagadelic carpet,or the scaary medicine cabinet in the first bathroom? It's perfect! C'mon, show the mid-century rambler some love, people. Seriously, you know I love the wacky houses. "Alley access is enjoyed at this home." Now, I do love a good alley access! Those are some curiously overprocessed pictures... strangely tidey. Though the squashed aspect ratio may get some buyers wanting those 'American' sized doorways. The red room child was the rebel of the family. Or was that where they were banished for being bad? The sliding door off the carpeted kitchen into the "rec room" is klassy, too. Oh my gosh, we forgot to paint the baseboards! Now... what color goes with blue and blue and blue? I LOVE their bathroom though. Hmm. If this had been grandma's house, I could have spent many a happy hour sailing the ocean-blue, lost at sea on a sofa cushion, and defending myself from sharks and giant squid. Stop staring. I'm normal dammit! The bedroom carpets are ... eyecatching. Blue on the floor, walls and ceilings. I can't help but think you'd feel as if you were being ingested by blue while in that room. I came here for the Eiffel 65 references and I am not disappointed. okay, is it just me, or does the whole pic look photo shopped in some way? UMMM, is that carpet on the ceiling? Oh my god - the condo my husband bought right after I started dating him had this color scheme. Except the walls were either stark white or the color of the carpet. Or in the charming case of the bathroom, a bad sponge-painting attempt with both. I ... feel like I'm drowning. ... In blue jelly (or jell-o, depending on where you're from). Urk.